Premium house roast coffee served in elegant silver. 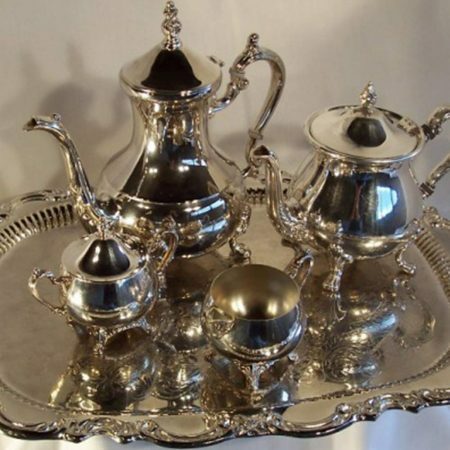 Service features five flavors of fresh roast coffee served from elegant silver. Guests drink from imitation china coffee cups. May be bundled with silver punch service for cost savings.